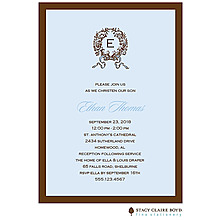 Images of your little boy are tucked in a background of blue flowers like a precious gift. 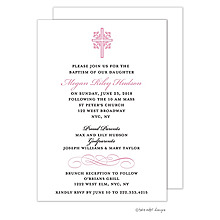 The shimmer photo baptism invitation or photo birth announcement has room for a Bible verse or poem. 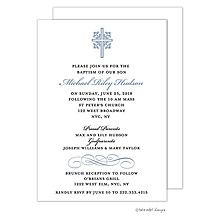 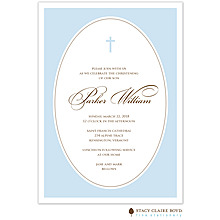 Show off the first portrait of your baby boy when you invite guests to his baptism with this photo baptism invitation. 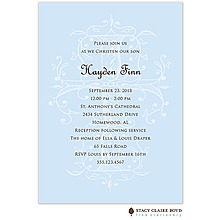 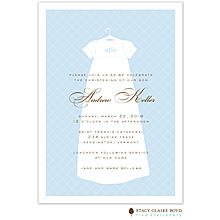 The blue baby cherub design makes it a perfect birth announcement, too. 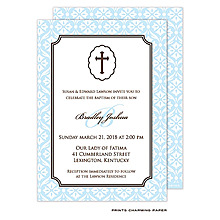 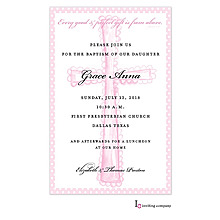 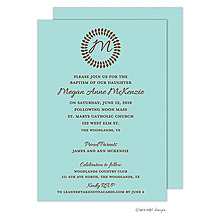 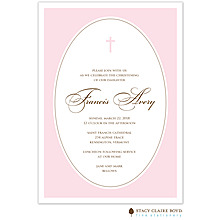 Show off the first portrait of your baby girl when you invite guests to her baptism with this photo baptism invitation. 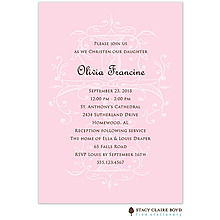 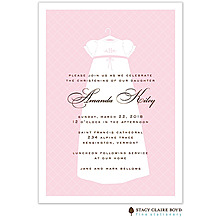 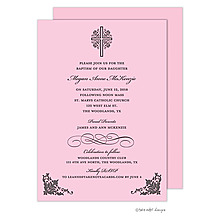 The pink baby cherub design makes it a perfect birth announcement, too.